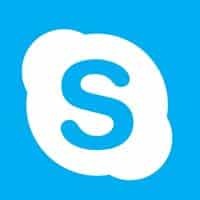 As I continue to break out statistic posts for each of the larger social networks and digital companies, I offer up today statistics for the granddaddy of video chat apps: Skype. Despite only launching in 2003, it feels like Skype has been around forever. Skype hasn’t gotten nearly as much publicity since Microsoft acquired them in 2011 and a number of large, viable competitors have emerged over the years; not the least of which is Google with their popular Hangouts app. Despite all of this, Skype is still going strong and has a healthy user base. Here are some of the most interesting Skype statistics I have been able to dig up in my travels.